* Tweet using the hashtags below. Yes you may enter both contests though you may only win once. * To receive your prize if you win you must be following me on twitter. Code will be sent via direct message on twitter. 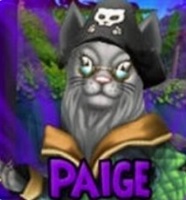 Codes can be redeemed from any location worldwide, but are only redeemable at https://www.wizard101.com/promo for use on the KingsIsle version of Wizard101. This promotion cannot be redeemed for Gameforge or Taomee hosted versions of the game. If you encounter an problem redeeming your game code, please send an email to community@wizard101.com and include your code and Wizard101 account name, but never the password!